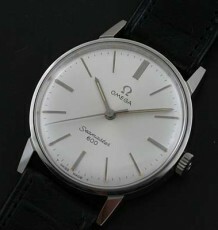 Omega watch with solid steel case and integrated bracelet. 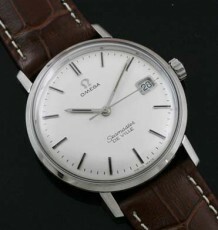 This vintage Omega watch is from the long running Geneve line that dates back to the 1950’s. The solid steel case is is excellent condition with a bevelled edge case and integrated steel block link bracelet. 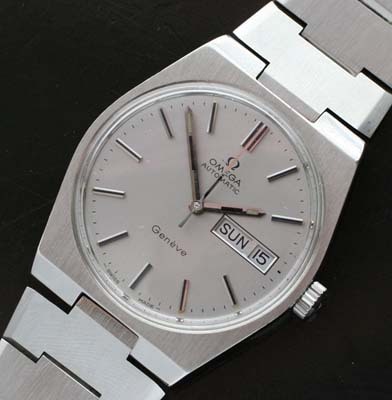 The watch was completely detailed and serviced by my watch maker, please note the original Omega signed crown and crystal fitted to the watch. The rare grey colored dial is in pristine condition and its metalic appearance adds to the overall appeal of the watch. The watch is fitted with an Omega automatic movement, calibre 1022 which displays the day of the week and date of the month. 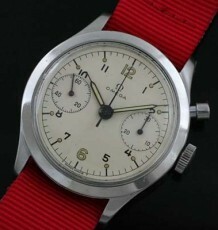 The serial number of the watch dates it to 1974. 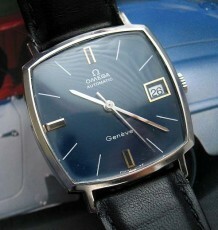 Having just been serviced the movement functions flawlessly and keeps excellent time. The case measures 35 mm wide by 41 mm long and the bracelet will fit up to an 8 inch wrist.